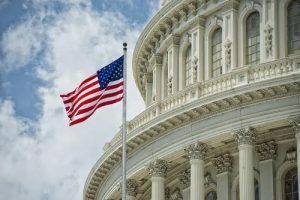 With the federal funding running out on Friday and a potential government shutdown looming, expect to see an impact on the mortgage industry. Access to tax documents and other government paperwork may prove difficult in the event of a shutdown. CNBC noted  that “non-essential” employees, such as those that process paperwork through the Internal Revenue Service, would be furloughed during a shutdown, causing roadblocks for those applying for mortgages. Additionally, lenders would not be able to verify Social Security numbers during a shut down. "There's no 'Wink-wink, keep your laptops and we'll call you,'" said Mortgage Bankers Association  CEO David Stevens. "They're barred from the building and barred from using the network for access. So, you have a real shutdown." During the last government shutdown, in 2013, three in 10 homebuyers and sellers reported problems in the application process, most reporting a delay in closing. The National Association of Realtors  (NAR) found that in 2013, 17 percent of closings were delayed during the shutdown. However, CNBC notes that the housing market is stronger now than it was in 2013, and application volume is greater. This could mean that more buyers may be affected this time. During a shutdown, access to the FHA would be severely limited. NAR’s 2013 survey found that the closed FHA and USDA were the top negative impacts on the mortgage process during the shutdown. A few sellers even reported that they completely lost their bids during the shutdown and three percent said they got a weaker offer. If Congress and the Trump administration do not reach a decision by Friday, just a day before President Trump’s 100th day in office, a shutdown may be imminent. Government institutions from the Smithsonian to the IRS would be impacted, as their employees are furloughed.